Donna Potts, president of the American Association of University Professors, says making professors teach more will take away time from their other academic pursuits. The College of Arts and Sciences has requested data on its faculty’s accomplishments over the past five years, leaving some professors with concerns about the data being used to increase teaching loads for those who are less productive in other areas. 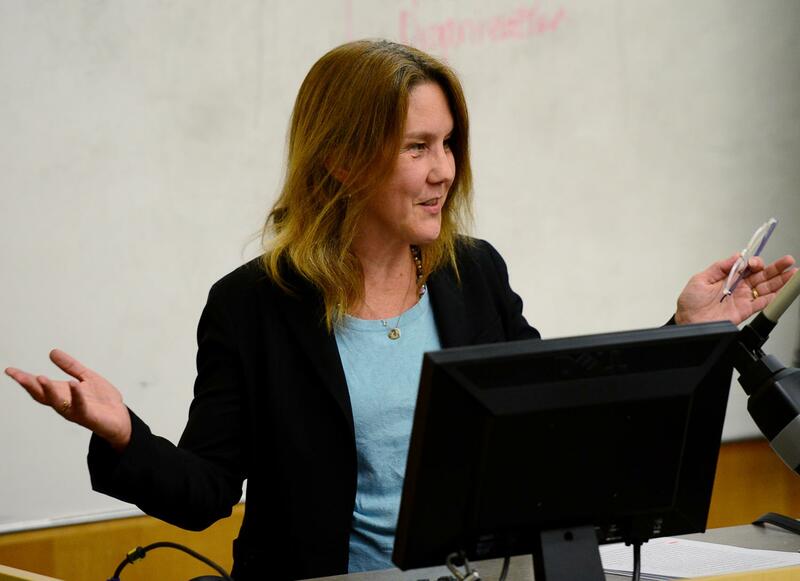 Donna Potts, an English professor in the college and president of WSU’s American Association of University Professors chapter, said CAS could use the data to justify making professors teach more on the same salary. “It also ensures that they will never increase their productivity,” she said, as heavier teaching requirements prevent them from dedicating time to other academic endeavors. There is already a two-tiered system among faculty, between tenure-track and non-tenure track, Potts said. But tailoring teaching load to productivity could create divisions among tenure-track faculty as well, she said, leading to resentment in those who must do more teaching. “I can imagine there will be some bitterness between them and the people who don’t get higher workloads,” she said. CAS Associate Dean Larry Hufford — who will take over as interim for Dean Daryll Dewald on Jan. 1 when Dewald leaves his position to serve solely as WSU Spokane chancellor — said one reason the college requested the data was for strategic enrollment management. 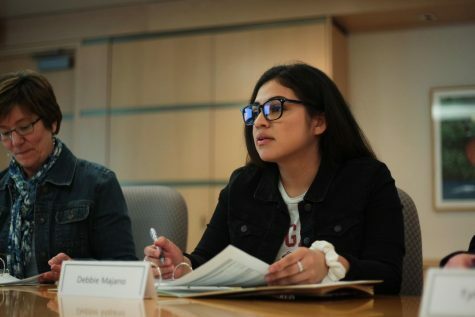 He explained this as a way of managing courses and faculty to provide “as excellent of education as possible, as inexpensively as possible,” as the university struggles to meet 2.5-percent spending reductions across the board. CAS must decide how to cut $1.2 million from its spending. 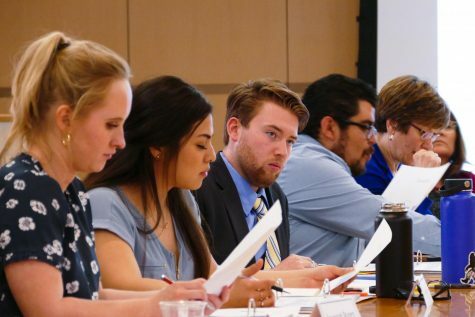 In the college’s memo to its more than 550 faculty on Nov. 1, outlining how CAS would comply with spending reductions, Dewald noted that one step would be strategic enrollment management. 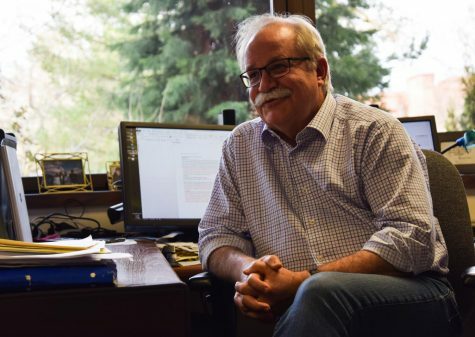 Though some faculty may dislike the idea of increased teaching loads, Provost Dan Bernardo said, more productive faculty may feel that it’s important for less productive faculty to take on more teaching roles. “Modification of teaching loads is a two-way street,” he said. Bernardo added that some faculty are better at teaching, and that any organization would put its personnel in positions where they will be most effective. He noted that this is also good for faculty, who will score higher on evaluations. Melanie-Angela Neuilly, an associate professor in the department of criminal justice and criminology, said increased teaching loads could unevenly affect women and minority faculty, who on average produce less scholarly and creative work. Instead, Neuilly said, they are tasked with more service on committees, to meet equal opportunity requirements, as well as more “invisible labor.” This leaves them inherently disadvantaged, with less time for research and scholarship. 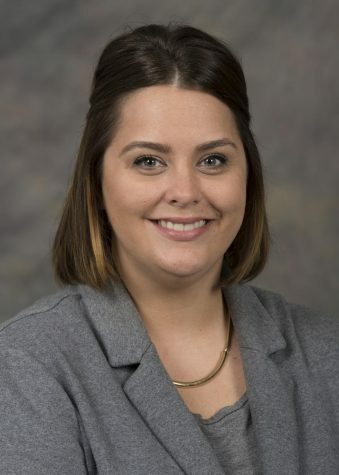 “Women and minority faculty are always the ones that are disproportionately burdened with everything, basically,” said Neuilly, who is also a former co-chair of the WSU President’s Commission on the Status of Women. He said he thinks it’s important that faculty receive mentoring if they are not meeting research or teaching expectations. 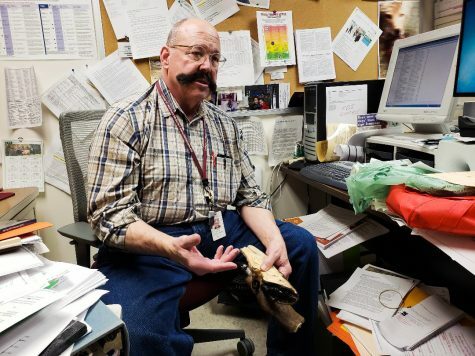 All the college’s schools and departments have mentoring programs for non-tenured faculty, he said, and about half have them for tenured faculty. He said he talked to the other half about expanding mentoring. Throughout October, Hufford met with the college’s chairs and directors to discuss strategic enrollment management. He asked them to assemble five-year data on their faculty’s course enrollment, teaching loads and assignments, graduate training, and research, scholarly and creative accomplishment. Hufford said this was an opportunity for chairs and directors to strategize and figure out how to offer courses efficiently, and that their conversations have gone well. Chair of the English department Todd Butler said seeing patterns of work over five years is useful in decision making for a college with many diverse departments doing different kinds of work. He said the college takes both teaching and research seriously, and that they must find ways to balance the two. Neuilly said communication about the data collection has not been uniform across the college, leaving many feeling ill at ease. She emphasized that she does not know how the data will be used. Potts said part of the uncertainty may come from the lack of a clear cut-off point at which unproductive faculty will be made to teach more courses. For example, she said, someone who is working on a book could appear to be lacking in other areas. She said humanities faculty also have fewer opportunities for large external grants, and wondered whether this could result in increased course loads for those faculty. Hufford said he thinks fears over the data collection are largely the result of misunderstanding, noting that the college regularly asks chairs and directors for various data on its faculty. Several faculty members, including Neuilly, came to their faculty senators with their concerns. 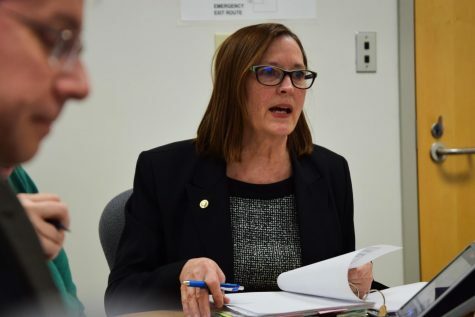 One of the senators, Tammy Barry, raised the issue in a Senate meeting, after which Faculty Senate Chair Judi McDonald contacted Hufford for clarification on the college’s reason for collecting the data. He responded that the college needs the data for decision making, particularly as it looks for ways to cut spending. “It is especially important that every decision be well informed by data and an understanding of the implications of the data,” Hufford wrote in an email to McDonald. McDonald agreed the administrators making decisions should have accurate information. 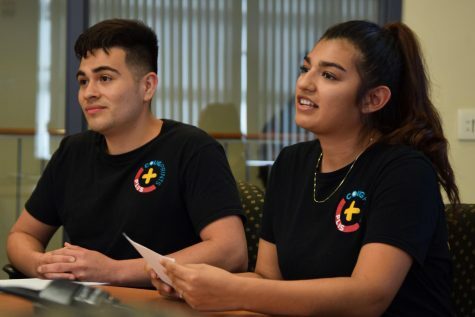 She added that people shouldn’t assume the data will be used inappropriately, but that many are on edge as they see how spending reductions are playing out across the university. 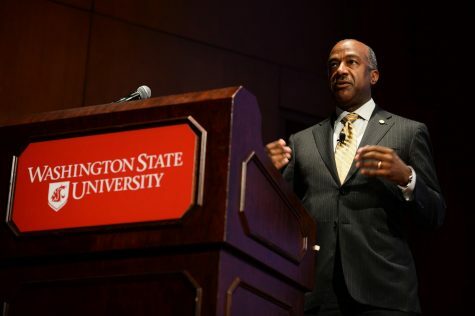 WSU President Kirk Schulz announced last month that the university would cut the Performing Arts program and eliminate positions in Multicultural Student Services in an effort to reduce the university’s $30-million-per-year deficit spending.